Today I’m thrilled to have Dr. Lekeisha Sumner with us to share insight on two very common types of stress women of color may experience during pregnancy and tips on how we can manage both. 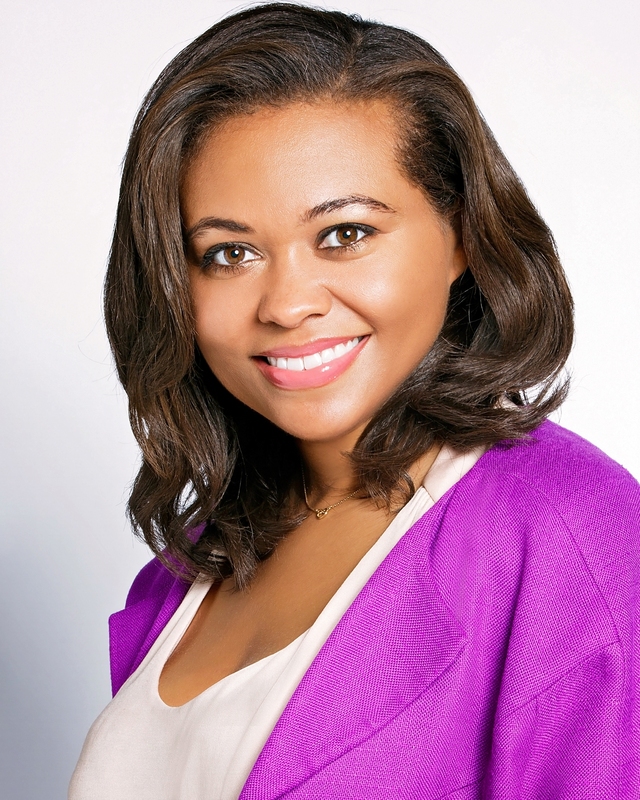 Dr. Lekeisha Sumner, PhD, ABPP is a board-certified clinical psychologist with specialization in both clinical psychology and medical psychology. She is currently an Associate Professor in the Department of Psychology at Alliant International University and Assistant Clinical Professor in the Department of Psychiatry & Biobehavioral Sciences at UCLA. A frequent commentator on psychological science, she has written extensively on trauma and the intersection of culture and gender in health and well-being. Dr. Sumner maintains an independent practice in West Los Angeles where she was recently commissioned by the Substance Abuse and Mental Health Services Administration (SAMHSA), Center for Substance Abuse Treatment to serve on the Strategies for Improving Outcomes for Peripartum Women committee. With so many changes in one’s body, daily routine, and responsibilities, it’s typical for many women to feel overwhelmed at times both during pregnancy and after the birth of baby. And yet, for some women, these feelings can be compounded by stressful experiences related to their cultural backgrounds or ethnicities, which increases their vulnerability for emotional distress. Take for example, Olivia, a bright and compassionate 28-year old woman who was in the second trimester of her first pregnancy when we met. She had moved to the United States several years ago from her native country and was elated to finally have the opportunity to be with the man of her dreams and start a family. Her husband, a US native, was supportive of her adjustment to life in a new country and particularly attentive to her needs during pregnancy. She was especially grateful for the comfort he provided now that she lived without her extended family. Despite all the wonderful changes that were happening in her life, Olivia felt chronically overwhelmed and was stunned by the recent discovery that she had developed hypertension during her pregnancy. She had already unsuccessfully tried the home remedies her mother suggested which included taking a walk around the block and listening to relaxing music. But, at the urging of her husband who observed her increasingly distressed mood, she decided to enter psychotherapy. Olivia began experiencing stress on her job long before she became pregnant but things only intensified once she disclosed her pregnancy to her boss. Since that time, she began to experience difficulty sleeping, little appetite, constant worrying, and difficulty concentrating and had even begun to grind her teeth during sleep. Given the severity of the symptoms, Olivia was concerned that they would negatively impact her pregnancy. As she began to delve into the underlying sources of her stressors and the contexts in which they occurred, it became clear that many of the experiences she described are common among women from some ethnic and cultural groups (especially women of color, refugees, immigrants, etc.) yet rarely discussed: acculturative stress and discrimination. Acculturative stress typically refers to the emotional strain of having to alter one’s cultural attitudes, beliefs or behaviors to adapt to and navigate a distinctly different culture. For Olivia, acculturative stress presented as the strong social pressure she felt to quickly learn English and lose the accent of her native language. She also experienced discrimination on her job as her boss would often humiliate her by making snide comments about immigrants within earshot. He would keep constant tabs on her, would make embarrassing “jokes” about people of color and her accent, and routinely give her lower performance evaluations than her colleagues even though her productivity was equal too or greater than theirs. After disclosing her pregnancy, these incidents worsened. Although working in a hostile climate resulted in her having performance anxiety, ruminative thoughts and nightmares, she was too intimidated to report this behavior to human resources and believed she would have been labeled as being “too sensitive,” “playing the race card” and perhaps worse, risk further alienation and stigmatization. Over a period of time, intense and chronic stressors like the ones Olivia experienced can wear on a person and leave them feeling emotionally drained and depleted. The stress brought on by discrimination and acculturative strain during pregnancy can quickly erode one of the most sacred and enjoyable periods of a woman’s life and render women at risk for symptoms of depression and anxiety, and poorer lifestyle choices (e.g. eating habits, nicotine use) as they attempt to cope. For some groups, these stressors may alter the release of bodily hormones that may affect the outcomes of pregnancy. For example, African American women across the economic and educational strata have the highest rates of preterm birth in the United States. Studies confirm that these findings are in part due to the high levels of chronic stress and ethnic discrimination they are exposed to throughout the lifespan. While research shows that these stressors do not affect everyone or every group of pregnant women exactly the same, they can certainly diminish mood mood, energy, and confidence in caring for baby. There are some ways to help lessen the impact of acculturative stress and discrimination. For instance, women who use healthy coping strategies (e.g meditation, walking, journaling, asking for help), those with a strong belief in their ability to overcome obstacles and those who have pride in and a connection with their cultural heritage and cultural values all seem to have better emotional responses in the face of these types of stressors than those without. Also, women who feel a sense of belonging and receive support from their partners throughout pregnancy and post-partum also tend to respond better. For Olivia, getting involved in an on-line support group, a local church that appreciated congregants from diverse backgrounds and engaging in psychotherapy were all beneficial in helping to restore her well-being and equipping her to improve her ability to cope. For all women, the pregnancy experience is shaped not only by biology but also by psychological and cultural influences. While you may be limited in eradicating all stressors during pregnancy, given the suffering that severe culture-specific stress during pregnancy can cause for you and baby, it’s a good idea to discuss with your doctor as soon as possible any concerns in your life. You will also want to monitor your stress levels not only during pregnancy but also in the many months after your bundle of joy is delivered. Taking a few extra steps can help you better prepare to be the best warrior mom you can be. Thank you so much for this important perspective about the impact of acculturative stress in pregnancy and postpartum. This is so timely in light of the recent articles I’ve been noticing about the impact of ethnic/racial discrimination on cortisol levels in pregnancy and in the newborn baby (as well as for the potential for Omega-3 to reduce cortisol levels). More research is called for, but more importantly, the need cannot be more clear to work to end ethnic and racial discrimination! I really appreciate the work that Postpartum Progress has been doing to bring the voices and experiences of women of color to the forefront. Thank you!